The Central Remedial Clinic was plunged into new controversy today after it was revealed that its former chief executive Paul Kiely got more than €740,000 in a retirement package, paid for from charity funds. The massive payout was revealed for the first time today and contrasts with the sum of €200,000 which was previously disclosed. The HSE believes that the help of the gardai may be needed "depending on the information that arises". Taoiseach Enda Kenny described revelations that the former head of the Central Remedial Clinic (CRC) received a secret €742,000 retirement pay-off as appalling. Earlier tonight he said the financial practices of the charity were “indicative of a time in Irish politics” that he hoped was long gone. The new figures were revealed at the Dail Committee on Public Accounts and followed a discovery by a HSE official who was appointed as temporary chief executive of the clinic last month. HSE human resources director Barry O' Brien said that in addition to the €200,000 tax-free lump sum given to Me Kiely as part of his retirement package he received another €273,000 which was taxable. 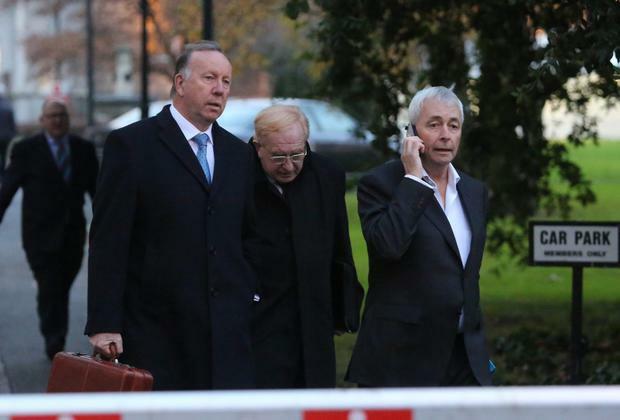 A further €268,000 had to be taken from the charity arm, the Friends and Supporters of the Central Remedial Clinic to ensure that he would get a pension of nearly €100,000 a year because he was taking early retirement. The additional payments were confidential and were agreed by the board of the Central Remedial Clinic chaired by Jim Nugent. The payment was in addition to a €3m loan which was taken from the charity fund to prop up the pension fund of a number of clinic staff. Earlier, Brian Conlan, who took over from Mr Kiely in July - and resigned in December - said it was not correct to state that funds donated by the public were transferred directly into salaries of senior executives . The public perception was that charitable donations were siphoned off specifically to pay for additional salary allowances for executives. However, he said he believed all money given to the CRC by the HSE and the public was "pooled" into one fund. Mr Conlan, a former chief executive of the Mater Hospital, who was on the board of the clinic applied for the post of chief executive at the clinic . When the job became available last April he felt he was “very qualified to apply” .“I enquired of the then chairman [of the CRC]whether as a member of the board I could apply as an internal candidate. He was given a salary of €125,000 which included a top-up. He asked the HSE to set a salary and this was €82,000 to €98,000.He returned the difference in salary. When the top-ups controversy arose he was on honeymoon and when he returned home he was stressed by the tone and volume of the media coverage. He was besieged by journalists at his home and had to leave his house for several days to maintain privacy. Questioned by Independent TD Shane Ross today he said he was unaware of the Mr Kiely's full retirement package even though it was detailed in the minutes of a board meeting and he was on the audit committee. The committee obtained copies of the minutes of the CRC board meeting at which Mr Kiely's retirement package was discussed and approved. The CRC board met on March 25 2013 and the minutes state that the chairman "made a presentation outlining details of a proposed financial settlement which might be offered to Mr Kiely." The minutes state that the details of that package were discussed and "comparisons were made with the terms of the HSE early retirement scheme of 2010". "The board considered that the proposed arrangement was fair both to the CRC and Mr Kiely and approved the package as presented," the minutes state. The package agreed was contingent on an undertaking from Mr Kiely that he would remain in his post until September 30. On foot of the minutes, Mr Conlan was accused by PAC member Mary Lou McDonald of telling "down right lies" when he earlier suggested that he was not aware of Mr Kiely's desire to leave his role as CEO. "Your evidence is not credible, I dont believe you that you didn't know of all of this," she said. Referring to the minutes, PAC chairman John McGuinness sharply criticised Mr Conlan and accused him of misleading the committee as to when the board knew of Mr Kiely's departure. He said the minutes show clearly that at the meeting in March, the CRC board discussed engaging a recruitment company to find Mr Kiely's replacement. "That is in direct contradiction to what you told this committee earlier. It is not credible what you are doing here today. You are economical with the truth, with the facts. It would appear to me you are not giving the full picture in the answers you are giving," he said. Mr Conlan later conceded that he actually did attend a meeting with the recruitment company MERC, contradicting his earlier comments.